All animals sleep; but formally speaking the functions of sleep are unknown. Correlative studies indicate that sleep, in particular slow-wave sleep is responsible for memory consolidation. Long-term synaptic plasticity plays a key role in memory. Current studies provide very controversial data on the role of sleep in synaptic plasticity. One group of studies explores a hypothesis that sleep induces synaptic downscaling. On the contrary, other studies indirectly demonstrate that sleep induces synaptic facilitation, and finally our recent work provided direct evidences that all richness of sleep slow oscillation was able to directly induce synaptic facilitation. In this project supported by Canadian Institutes of Health Research, we will test a hypothesis that differences in slow-wave sleep activities in different cortical areas would incur different extent of synaptic plasticity. Therefore, enhancing sleep slow-wave activities in different areas will improve learning to a different extent. Our current data demonstrate that imposing slow oscillation to mice frontal cortex increases memory consolidation. The main objectives of the proposed study is to investigate area-specific cellular dynamics of sleeping and waking states in mice, to demonstrate that these kind of activities induce synaptic facilitation and by imposing an exact replica of sleep activities to mice after a period of learning to increase its memory consolidation. This study will provide new approaches to improve learning abilities in the general population and in patients with variable forms of amnesia. Main techniques: electrophysiology in vivo, in vitro, optogenetic. Immediate response to brain damage is a generation of seizure activities. These seizures are reasonably well controlled by drugs and if untreated they terminate within days. Thereafter the patient recovers (at least in terms of seizures). However, months or years after penetrating brain wounds occur, about 70% of patients develop epilepsy characterized by the spontaneous generation of unprovoked seizures. These seizures are not well controlled by drugs. The process between brain damage and the onset of epilepsy is called epileptogenesis. The mechanisms of epileptogenesis are largely unknown and therefore, there are no effective therapies against epileptogenesis. Prevention of epileptogenesis will prevent epilepsy. Our current data demonstrate that in adult but not young animals, the penetrating cortical wounds lead to the development of epilepsy. Why the response of the brain to damage is so different in adult vs. young animals? In this project supported by Canadian Institutes of Health Research, we test the following hypotheses: (1) the normal brain has some level of excitability, which is a balance of excitation and inhibition; (2) brain damage reduces mainly excitatory influences; (3) homeostatic plasticity mechanisms up-regulate network excitability to bring it to its initial level (in young animals). (4) In adult animals the same up-regulation of excitability occurs, but it does not stop when a sufficient level of excitability is reached and therefore, it brings network to a hyperexcitable state – epilepsy. What do we want to do? Basically two things: (1) To describe physiological processes taking place during epileptogenesis and (2) Based on our understanding of changes in the network activity and starting from the moment of the trauma, to stimulate the traumatized cortex aiming to increase excitability and to prevent epileptogenesis. 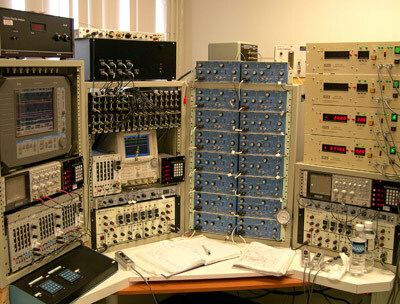 Main techniques: electrophysiology in vivo, in vitro, pharmacogenetic, computational modeling. We are interested in the understanding of physiological basis of conscious states. In this study supported by Natural Science and Engineering Research Council of Canada, we investigate how thalamic neurons from different nuclei contribute to long-range synchronization of cortical activities. It appears that thalamocortical neurons from the specific nuclei (somatosensory, visual, etc) are inhibited during bursts of cortical activities; thus, they prevent transition of peripheral information to neocortex. By contrast, thalamocortical neurons from non-specific nuclei are depolarized and fire spikes when cortical neurons are excited. Given their wide-range cortical projections, they should provide long-range synchronization of cortical activities, at least during sleep. 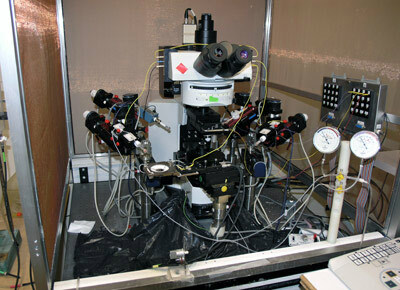 Main techniques: electrophysiology in vivo, in vitro, optogenetic, pharmacogenetic, computational modeling.